The gala dinner is a highlight of the conference and will take place on the evening of Wednesday 25 September at the National Wine Centre. Nestled on the edge of the city’s Botanic Gardens, the National Wine Centre is the home of the nation’s wine collection. 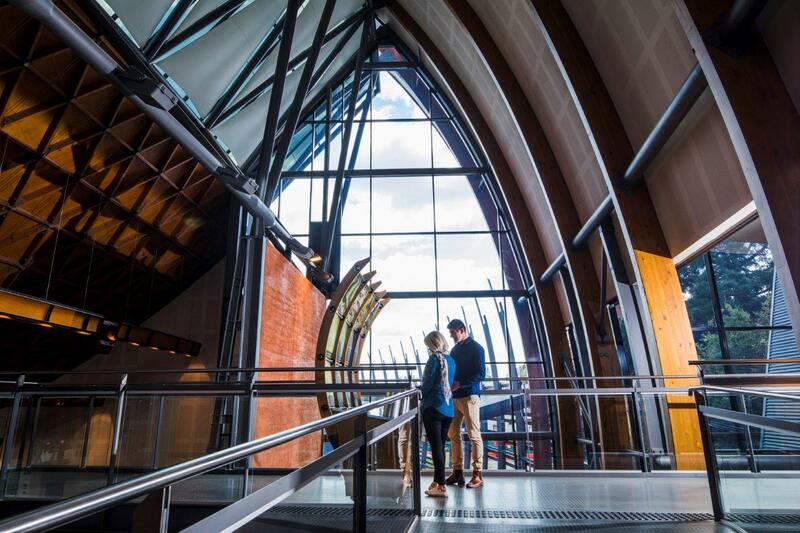 The centre offers wine lovers an unparalleled opportunity to learn more about Australia’s wine industry and to enjoy the rich diversities of varieties produced in Australia. Additional visitors may attend the gala dinner by purchasing an extra gala dinner ticket per person. The National Wine Centre of Australia is next to Adelaide’s Botanic Gardens in the northeast corner of the city centre. The National Wine Centre is an estimated 25 minute walk from the Adelaide Convention Centre, walking along North Terrace, then entering via the main entrance on Hackney Road. Visitors can also take a scenic walk through the Botanic Gardens and enter via the pedestrian entrance on Botanic Road (the extension to North Terrace). The Adelaide Free City Loop bus (99C) stops at stop 11 Botanic Gardens/ East Terrace – approximately a 200 metre walk from the Botanic Road entrance.